Actually, I don't have much informations on this actor, but as we discussed about him in another thread, I thought that I should add some informations I found. So, as I said the other day, I'm almost sure that I saw him in the ATV series Super sword lady. Does anyone can confirm this ? 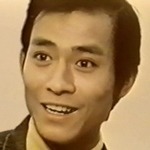 I also saw him in two TVB series that I just got : Battle in royal court and Heavenly machine, aka The lost treasure. I'd like to know if Who is the winner II is a direct sequel to Who is the winner I, or if the two stories aren't related, please. Who's the Winner II is the direct sequel to Who's the Winner I. The stories are related. Who's the Winner III is not related, though it is set in the same world some time after II as mentioned in the 1st episode. I discovered that Nathan Chan also plays in the ATV series Hai Rou and Yan Yan that isn't mentioned in his filmography, un less I'm mistaken. BTW I couldn't find him in the cast of Super Sword Lady. Was it just a small role or guest star? Here's a series of his characters, including the one in Super Sword Lady.